This is an opportunity to consolidate, and review progress to date in this long, complex unit. The following case study covers all of the topics covered in this unit so far. It is a good revision exercise. Sherston Antiques have been trading for 10 years. Their accounts for the last four years are shown below. The business grew quickly, but like many small businesses they have had some financial issues along the way. They are now looking to raise capital for a further expansion through a rights issue. The proposal is a 2 for 1 deal, at a price of 40 cents per share. They have been able to revalue their properties as a result of the housing boom in the recent years. However, they have been hit by a series of bad debts in Latin America markets. The company has built up a very good reputation, and its logo is well known, and has become a sign of quality and value. The CEO is proposing at the next Board Meeting that this should now be recognised in the accounts by the inclusion of an entry for intangible assets. You are a shareholder of Sherston Antiques and have just received the latest Annual Report and Accounts, and the papers for the rights issue. Examine the accounts, and then answer the following questions. Note: There are 3 million shares sold, with a face value of 10c, on the market today. The sale of another 2 million shares is already authorised. Explain the term 'rights issue'. Explain the consequences of these actions on the ratios of the company. 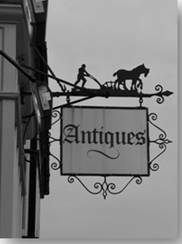 Analyse the benefits of the rights issue for Sherston Antiques. Discuss the advantages and disadvantages of including intangible assets in company accounts.